B.Sc. Hons. in Computer Science is a three-year undergraduate programme that focuses on the discipline of computer science. 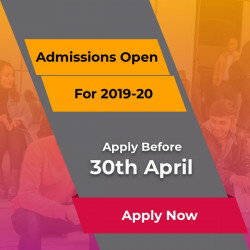 The programme covers important topics related to computer science such as – Coding, Programming languages, Computer Hardware and Software, Networking, Database Management, Information Technology, Mathematics, Statistics and Electronics. This programme equips students with the skills needed to contribute to this exciting and rapidly evolving field. It is this combination of skills that enable our graduates to keep pace with this fast-moving subject and secure rewarding careers that can be pursued almost anywhere in the world. The students acquire technical knowledge, skills and background for designing and organisation of computer systems. The programme helps the students in their ability to critically evaluate design paradigms, languages, algorithms, and techniques used to develop complex software systems. They also learn to evaluate and respond to opportunities for developing and exploiting new technologies. want to learn the software (language and programming etc) aspects of the computer and the knowledge of the operating system, programming language, database, Networking, Software testing and further. a career with exceptional prospective fields and challenging roles in a futuristic industry. The financial security, the freedom to relocate, lifelong prospects of learning makes this programme an ideal career for computer science enthusiasts. Introduction to Digital Electronics: Students will be able to: Have a thorough understanding of the fundamental concepts and techniques used in digital electronics.The ability to understand analyze and design various combinational and sequential circuits.Ability to identify basic requirements for a design application and propose a cost effective solution. Computer Organization: This course discusses the basic structure of a digital computer and used for understanding the organization of various units such as control unit Arithmetic and Logical unit and Memory unit and I/O unit in a digital computer. Fundamental of Open Source Software-LINUX: The course is designed to make the students research/industry ready as the industries/research organizations started using the open source applications along with any of the Linux flavor operating systems. Object Oriented Programming using C++:The language constructs discussed include classes inheritance encapsulation inheritance polymorphism class derivation abstract classes interfaces static class members object construction and destruction namespaces exception handling function overloading and overriding function name overload resolution container classes template classes etc. Introduction to Data Structures: This course starts with an introduction to data structures with its classification array and pointer based implementations. As the course progresses the study of Linear and Non-Linear data structures are studied. The course talks primarily about Linked list stacks queue Tree structure Graphs etc. This Course also deals with the concept of searching sorting and hashing methods..
Data Base Management systems: This course introduces database design and creation using a DBMS product. Emphasis is on normalization data integrity data modeling and creation of simple tables queries reports and forms. Upon completion students should be able to design and implement normalized database structures by creating simple database tables queries reports and forms. System Programming: To understand the basic of system program like editors compiler assembler linker loader interpreter and debugger Describe the various concepts of assemblers and macro-processors. To understand how linker and loader create an executable program from an object module created by assembler and compiler. To know various editors and debugging techniques. Introduction to computer network:This course provides detailed concepts of computer networking .Familiarize the student with the basic taxonomy and terminology of the computer networking area. Python Programming :This course starts with an introduction to Python History of Python and basics syntax for writing Python Program. As the course progresses the study of decision structure control structure and in-built data structure are studied in detail. This course mainly focuses on OOPs concepts. This course also deals with File handling Exception Handling and Module concept..